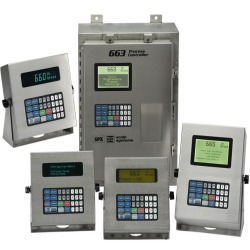 For the ultimate level of flexibility and process control, the GSE Model 660, 662, 663 and 665 are specifically designed to meet the most demanding weighing applications. The GSE models 660,661,662,663 and 665 offers unparalleled performance in a mid range weight indicator. Equipped with a comprehensive parameter map, programmable features and a multitude of option modules, the 660 series in the indicator of choice for applications that require value, quality and performance. Standard factory applications are available and can easily be modified by factory trained GSE Distributors like Central Carolina Scale. 250 programmable macros, 250 programmable databases, 128 I/O points optically isolated relays and 999 programmable data registers allow for a variety of applications which can be modified to work with your processes. Use Rabbet™ Software or User C to define database structure. The database is then managed using the 18 available functions that include; Create, Delete, Recall, Sort, Upload and Download to name a few. The independent databases are specifically useful for applications that recall information from one database and require the transaction or process data to be recorded in a separate database file. No application is identical. For that reason, user defined Variable Data Registers (VDR) can be setup as alpha-numeric strings, floats, integers and unsigned integers with variable character length. Label names for VDR’s are infinite so you are only limited to your application requirements and your imagination when configuring the VDR’s. As new features are added to the firmware, your instrument can be updated with the latest enhancements using GSE Reflash Software. Application files can also be transmitted over any communication connection including Ethernet for installations with multiple instruments in various locations. Common weighing applications such as Batching, Checkweighing, Discharge, Filling and Truck In/Out are resident in the instrument’s memory. These full featured applications can be easily modified to better accommodate your needs or a custom program can be written by factory trained Distributors like Central Carolina Scale out of Sanford, NC. Intuitive equipment operation is important for improving production efficiencies. 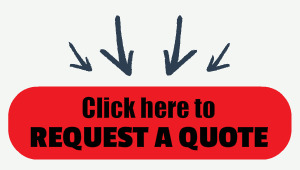 To guide operators through a series of tasks, custom displayed prompts are easily programmed using Rabbet™ Software or User C. To further improve the OI, key functions can be defined to perform a single task or execute multiple tasks with one keystroke.